Ganva(konkani) or Genhu(hindi) (I donno how to write down the pronunciation of ‘n’ in Ganvu/Genhu, hope all my Indian friends know how to say this word) means wheat. GuLi is laddu in Konkani. This sweet is called ‘Chirmund’ in South Kanara. ‘Ganva laddu’ is the most famous sweet in North Kanara. If you go to any house, you will find this. It remains good for a long time. So people make them and store for months. These laddus are very fragile, so they tend to break easily while eating. Also, do not eat them in a hurry, you might choke because they get struck easily in the throat if tried eating very fast. But still, once you eat them, I am sure you cannot stop it, they are very very tasty and healthy too. Delicate and tasty laddus made with wheat flour, spiced with cardamom and cloves. Heat a tea spn of ghee and fry cloves. Add wheat flour and fry on a very low flame for around 10min, till you get the aroma. Now add sugar and fry for 5min. Now add the remaining ghee, cool it a bit. Do not cool completely, laddu should be made when the mixture is still hot. Make laddus. They tend to break in hand. It requires a bit of patience to bind these laddus, atleast for the first time. Add more ghee, if you find it difficult to bind into laddu. Store in air tight container after cooling the laddus to room temperature. Liked the look of your blog & your recipes too. I too am a North Kanara Konkani. Tried out some of your recipes too. Ganva laddus is one of my favorites.Do visit my blog also, though it’s not your topic. excuse my ignorance…but is this also known as “chirmund” in konkani? Thanks Aparna you have a very very cool blog :). Preeti, I don’t know what is Chirmund :(. At least in North Kanara it is called as Ganva guli/laddu. I love Ganva Laddu, its my favourite….Its called “chirmund ” in Mangalore or you can say South Kanara they call it Chirmund. You post all so authentic recipes Konkani style. Its really good to see such a nice site. Thanks Madhura for the name. I will update the post :). Nice yummy laddus shipa,thanks for sharing them never had them before ,shall give a try. whole wheat flour? the ones we make chapathi with? mine is brown. yours look white? Thats right LG. You have to use the one used for chapathi . The color is because of the “Durum” flour I used. Its a bit different than the normal wheat flour. Infact the normal wheat flour is best suited for this laddu. I am always looking for recipes with Wheat flour instead of maida for my little one. This is a great recipe, which probably she will like. Thanks for sharing. I liked u r recepie for ladoo , but i want to suggest that also add 2 tsp of fried suji (rawa) in ghee , so the ladoo will not stick in the mouth. For this ladoo we can mix soya bean powder , which will make ladoos more proteins fulled. This ladoo are best for the childrens and also best for their tiffins, which will give them substitute to 1 whole chappati. I am fan of your recipes love these laddus very much. I even add the gunder (arabic gum), grinded n then roasted in the wheat mixture. The laddus get a crispy taste. This a very nice recipe. Thanks 4 sharing.This is one of my kids favorite sweet. On the similar grounds with urud dhal powder in Andhra they prepare a laddus called as “Sunnivundalu”. Though I know the ingredients and method of preparation some where I’m making a mistake due to which they crack off and laddus are not remaining in shape and I had to serve as powder [2-3 times I tried. but alas……… :-(( ]. But it tastes great & also Nutritious on health grounds. Arent laddus called chirmundos in Goan konkani ? Ami, I am sorry, I don’t know Goan Konkani :(. I tried them last night and they are just great!!!! Thank you so much your blog really helps me out. 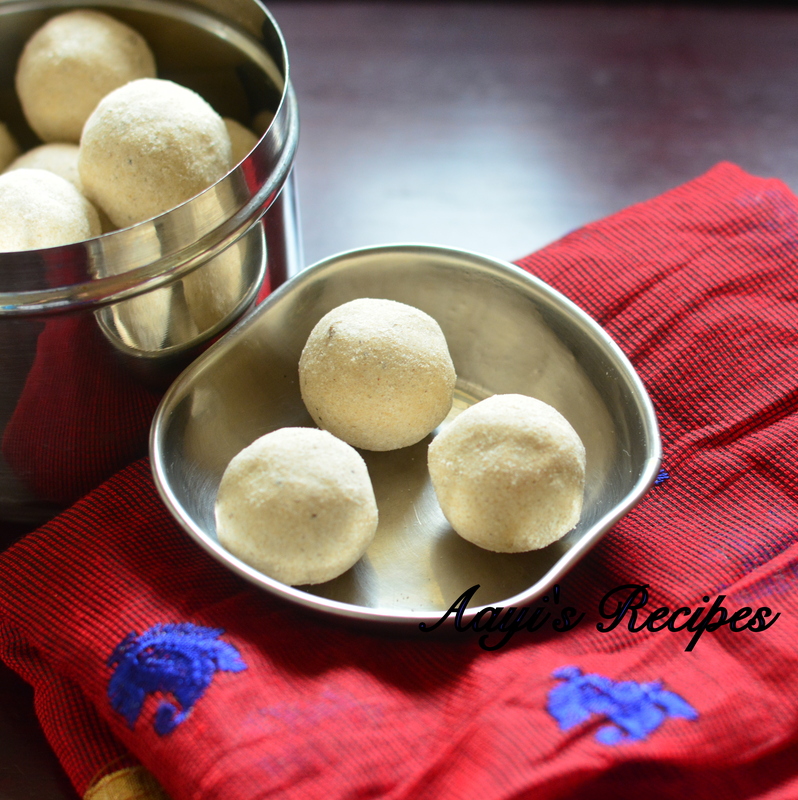 I tried wheat flour laddu just now.It is awesome…….& I liked your blog’s name Aayi’s Recipe( as if mother is teaching us.) I live in Chicago & your blog helped me a lot. Thank you so much for sharing the recipe……. Shilpa: Sorry, I haven’t tried it. I just tried this recipe and they came out awesome. I made tiny laddoos and perhaps thats why they were easy to hold together, and did not crumble. They taste awesome. Just an observation: I put less sugar, but they were still quite sweet. When I powdered the sugar I powdered some almonds too, and the taste is quite good. ya i have tried this recipe.. it worked well.. thanks shilpa..
do you know how to make churma laddoo ? we all love that recipe. it is made with wheat and sugar.